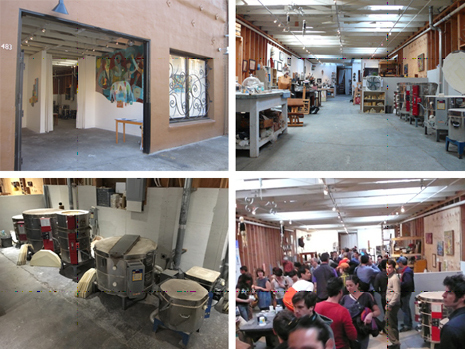 FM studios and gallery in downtown Oakland on 25th & Telegraph is looking for artists to rent studio/display space in our shared warehouse of ten spaces. Artists, here is your chance to utilize a space which guarantees an audience every month. Space for studio is limited to art that doesn’t require heavy ventilation (spray paint, glass blowers, heavy metal, fiberglass, etc). Space for display is open to any kind of medium. – $750 to move in (includes first months rent and security deposit). – signed contract agreement stating terms and conditions for studio usage. Include images of your artwork, or a link to an online portfolio, along with info about yourself, how you’d be using the space, and possible times to schedule a viewing. Good luck and thank you for your time!